Last weekend, Shaun and I went on a little adventure. (More about that later!) We had looked online and found a quirky little café in the middle of a boatyard. I had a feeling I was really going to like it when my coffee arrived in a one-of-a-kind, lopsided mug that looked as though the funky flowers had been hand painted. With my first sip, I knew I was going to love it. As we waited for our breakfast to arrive, I gazed around, completely charmed by the kitschy décor. My eyes wandered from the multicolored swirls and snowflakes dangling from the ceiling to the colorful plates randomly tucked among photos and knick-knacks on the walls. I was particularly drawn to the aprons the waitresses wore. They were vibrant and full of joy. The eclectic mixture of ruffles, lace and appliques should have given me a headache, but instead, I found myself beaming. I turned to my husband and announced that my New Year’s resolution was to make an apron. Shaun grinned at me and shook his head. After nearly twenty-five years of marriage, he’s learned to just accept what he often refers to as Susie Logic. This entry was posted in Adventures, Coffee, Humor, Love and Marriage, That Man O' Mine and tagged boatyard, Coffee, kitschy, New Year's resolutions, Port Townsend. Bookmark the permalink. 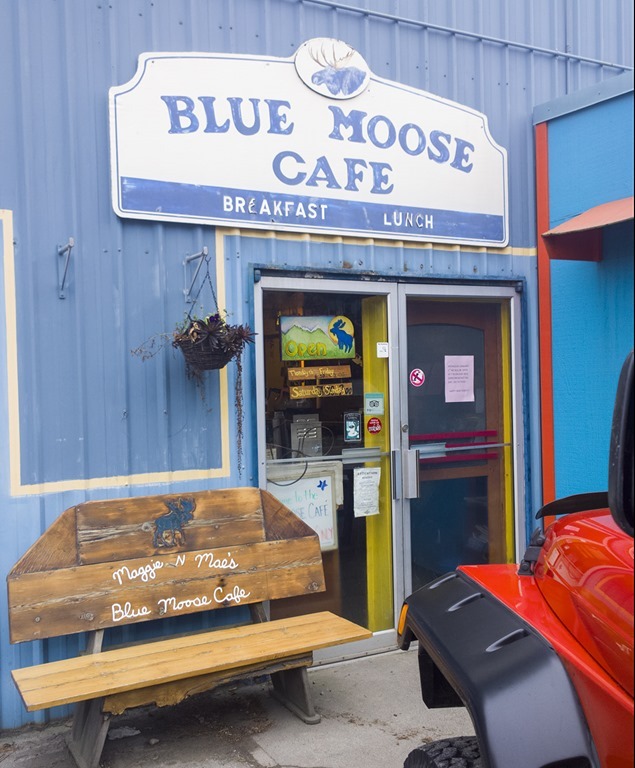 LOVE your Blue Moose adventure. Sounds like just my thing. I don’t make resolutions, but rather plans. Plans for fun times and good things. 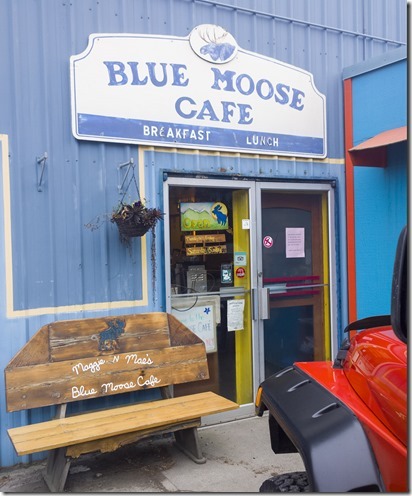 Hope your new year has lots of good adventures like Blue Moose.